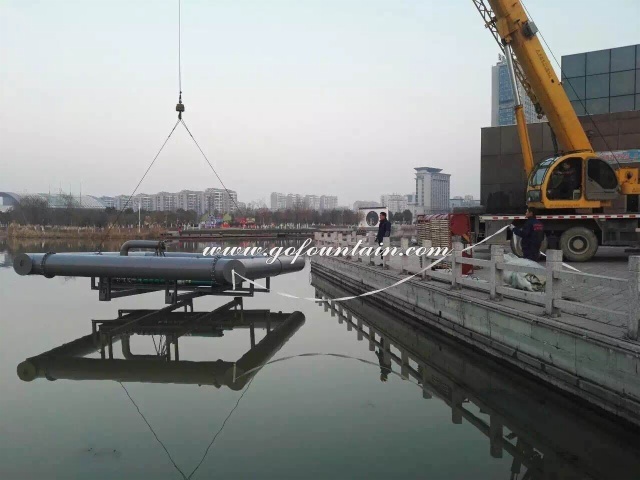 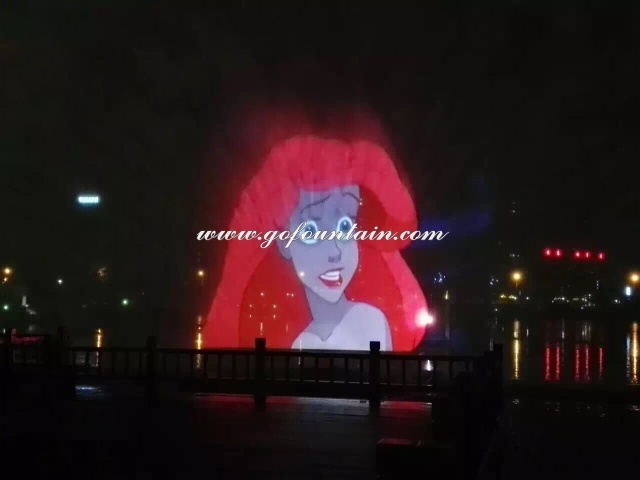 Suzhou Gold Ocean Co., Ltd has manufactured a 30m width,13m heightwater screen movie fountain. 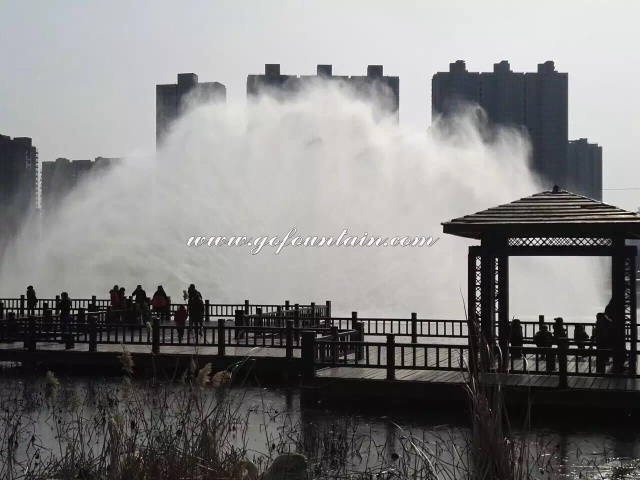 For your information, it is located at White Swan park, Yancheng City,Jiangsu Province, China. 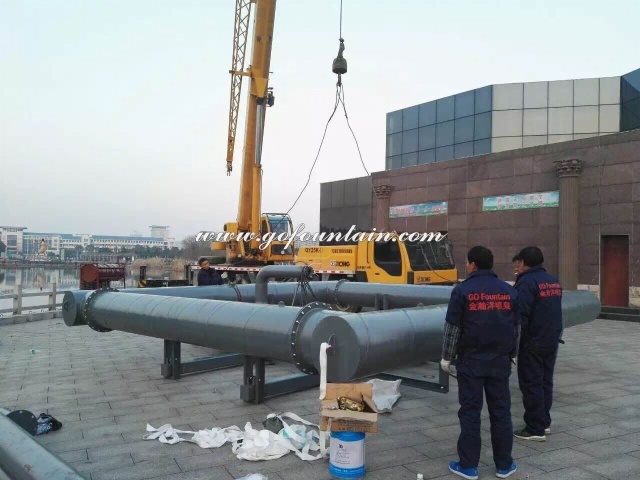 This project was built for Chinese traditional Spring Festival, for people to enjoy the show together with their family. 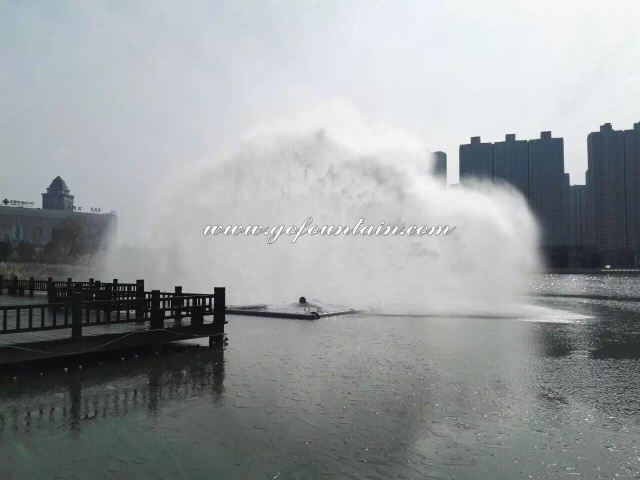 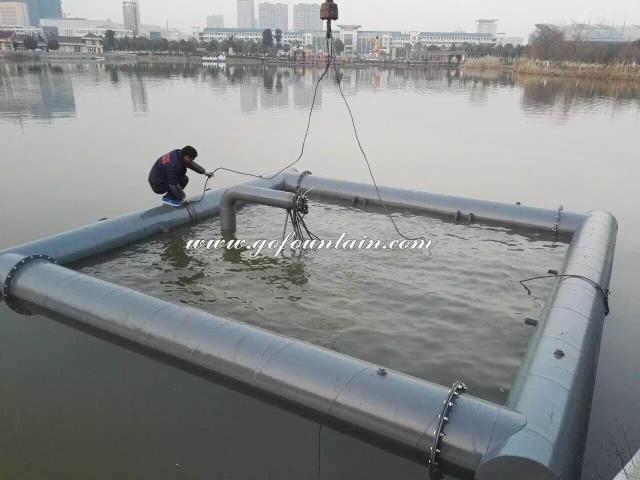 Water Screen Movie is made up with 2 systems: the water screen generating system and the projecting system. 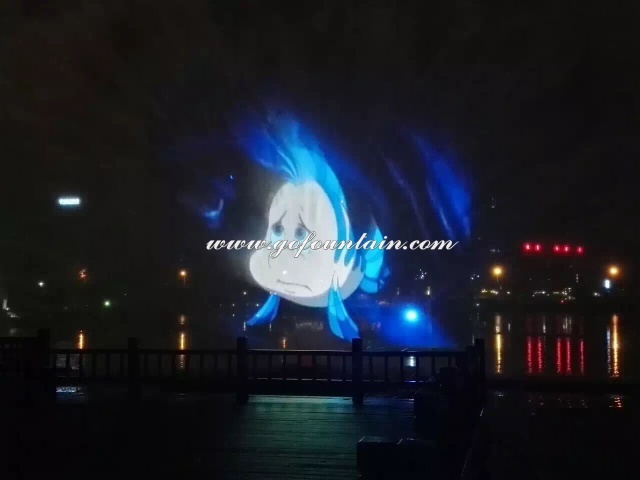 Powered by high-pressure pumps, the water screen generator produces a transparent water screen, which has a special 3D visual effect upon the movie projected on it.